Founded in 2008 by Roman Perschon, LEWITT Microphones officially launched its first microphone in January 2010. With product design, engineering, manufacturing, and marketing in Vienna Austria, the company’s goals include innovative and versatile microphone designs that are cost effective. 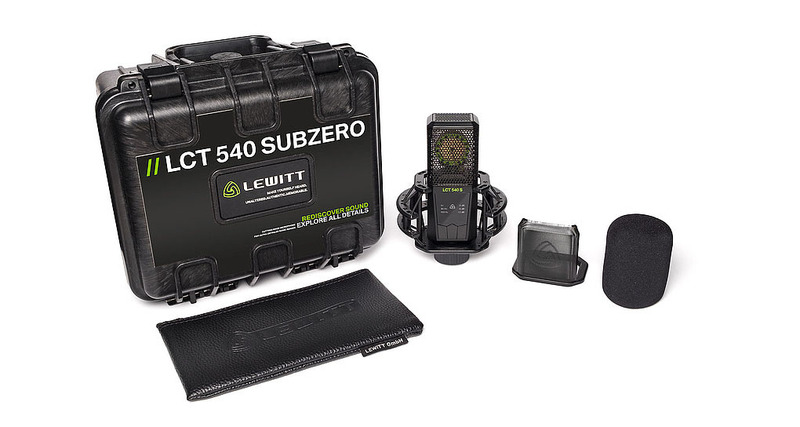 LEWITT’s new entry into its microphone line, the LCT 540 S (“S” for Subzero) is a fixed-pattern cardioid condenser that is a professional microphone for all seasons. 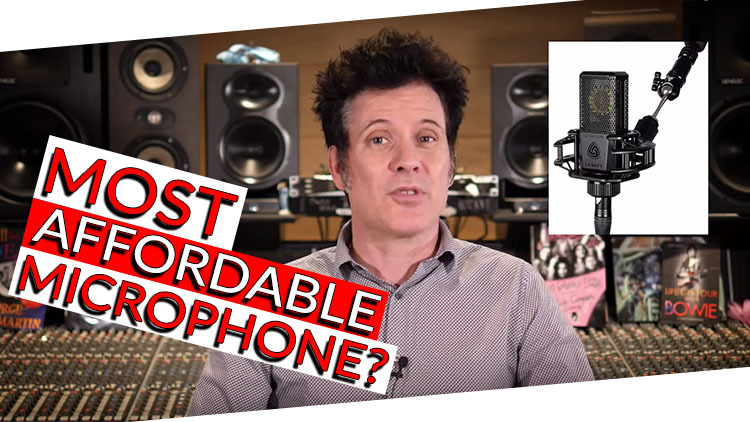 Besides its lower price point, its many unique features set it apart from some of the most expensive condenser microphones. The LEWITT LCT 540 S starts with a 25.4mm (1-inch) diameter capsule with a 3-micron thick gold sputtered Mylar® diaphragm. Marketed, designed and engineered in Vienna Austria, the LCT 540S capsule is made in LEWITT’s own factory in China. It is externally polarized via a center-terminated connection. All the LEWITT condenser mics have center-terminated capsules as oppose to edge terminated as you might see on many vintage condenser microphones. The wire lead attached to the center of the diaphragm does add a small amount of damping but the company says it works out to foster the microphone’s clear sound without harshness. They tried edge termination but it made the capsule more sensitive to plosives and rumble. LEWITT uses a digitally controlled, low power 250kHz DC-to-DC converter to boost up the +48-volt phantom power voltage to proper capsule polarization voltage. By carefully controlling the polarization voltage of the capsule, you have control over the sensitivity of the capsule. The LCT 540 S weighs 13-ounces (371 grams) and has a die-cast zinc metal body with gold-plated XLR connector. It uses an F.E.T. (Field Effect Transistor) amplifier, is transformerless and has an equivalent self-noise of 4dB (measured A-weighted). The microphone requires 3.6mA of +48-volt phantom power current. For setup, the LCT 540 S has a user interface right on its front—the hot side of the microphone. Upon connection to phantom power, the microphone goes through a “boot up” routine when all the white status indicators start flashing. Things settle down with the Lewett logo, “lin” (no roll-off) and 0dB attenuation indicators staying lit all in white indicating standard operation. Below these indicators are three flush-mounted push buttons; all settings are made with these and confirmed with the indicators. The LEWITT LCT 540 S has a unique Clip indicator and Clip History feature. Starting after the mic is plugged into phantom power, if while in use the mic clips, the LEWITT logo will momentarily flash red. By holding the left hand button down for more than two seconds, you can interrogate the microphone for a recent clip. If the logo status indicator flashes white and green, no clipping has occurred but if it flashes red and white, a clip has occurred and the illuminated attenuation symbol show what setting you had. (So if it clipped at 0dB, then you would switch to -6dB) Of course you can press any button for two seconds to exit and reset Clip History or just unplug the mic from phantom power. Another cool feature is the Automatic Attenuation mode. After holding the right button down for more than two seconds, the logo status indicator goes red and the microphone will automatically set the attenuator just after clipping occurs. When it does this, the mic produces an audible noise although I never actually heard it. Potentially a very useful feature for live recording, this is an all-new feature for me in the studio and I’ve been trying it out when first getting drums sounds or even during mic checks. LEWITT does not recommend using this feature during actual recording and you can reset it by pressing any button for more than two seconds. I found the LEWITT LCT 540 S great value for the money and a worthwhile microphone for most any source. It compared favorable to most of the transistorized, LDC microphones I put up against it. I like the complete kit that comes with it that includes: the SHx shock mount; the 50PSx pop filter that magnetically attaches to the shock mount; an additional foam windscreen recommended for close vocals; a leatherette carrying pouch; and a rugged military style “bomb-proof” foam-line road case.